Very friendly staff, very convenient location, a weekend market just outside of window, beautiful n quiet surrounding neighborhood, close-by supermarket. Room was spacious and clean. Check-in and check-out were quick and easy. Staff was helpful and very pleasant. Includes bikes, which was cool! Good bed, nice living room, lots of space. Near to Heverlee station. Apartment had clean utensils for cooking . Felt rooms could be lightly bigger. There is a local market just outside the apartment on Sundays. Overall a comfortable stay. The apartment was clean and tidy, the staff very precise and kind. The bike (fee use) was perfect. Even if the hotel is not in the city center, you can go there in 10 minutes ride. Leuven is a perfect city for bikers. Lock in a great price for Boardhousing – rated 8.3 by recent guests! 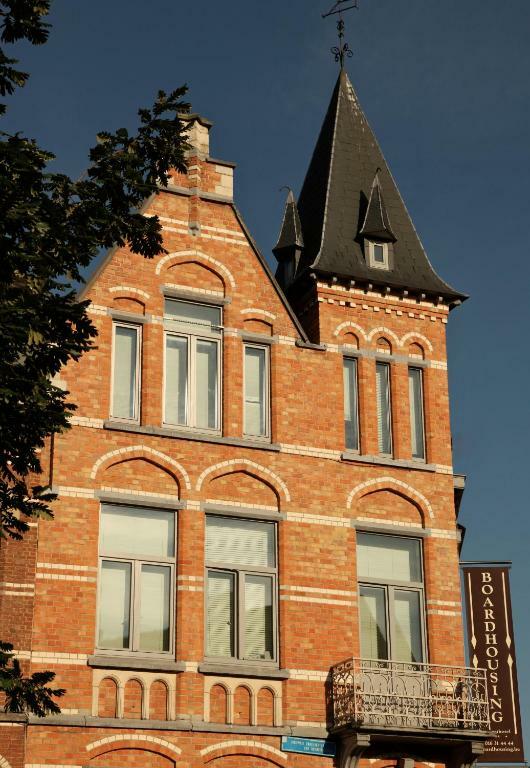 Boardhousing is located at a 10-minutes’ walk from the 16th-century Arenberg Castle and its large gardens. The accommodations offers WiFi throughout. In the center of Leuven, there are many restaurants with Belgian and international specialties. Bicycles are available free of charge for guests to explore the surroundings. The Standard and Luxury studios are equipped with a kitchenette. The Suite has direct access to a terrace. All units have a flat-screen TV, a private bathroom fitted with a bathtub or a shower and a hairdryer. Common laundry facilities are also available on site. An extensive breakfast is served every morning in the main building of the hotel, located at a 3-minutes’ walk from Boardhousing. There is also the reception located to check-in and to check-out and where you are welcome with all your questions. The main train station is 7 minutes away and offers direct connections to Brussels in 20 minutes. The historical center of Leuven featuring the Central Market Square and the Old Square, with its plenty bars and restaurants, is located 1.2 mi from Boardhousing. When would you like to stay at Boardhousing? 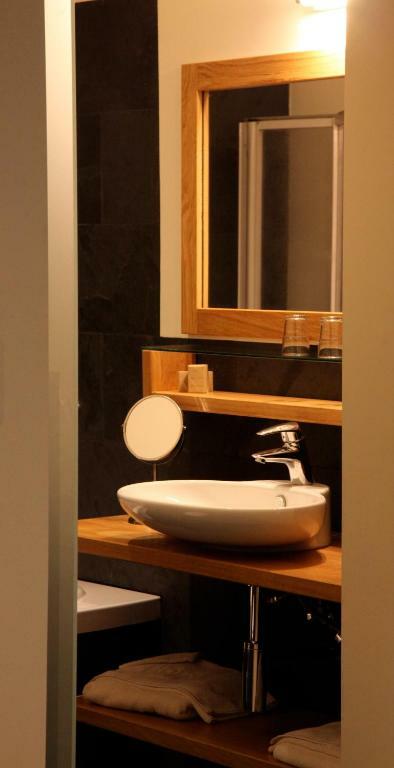 These compact studios include a fully equipped kitchenette and free WIFI. This room type is located at a 2 minutes' walk from the main hotel building. This spacious room offers a kitchenette, private bathroom and other facilities. This room is located at a 2 minute's walk from the main hotel building. 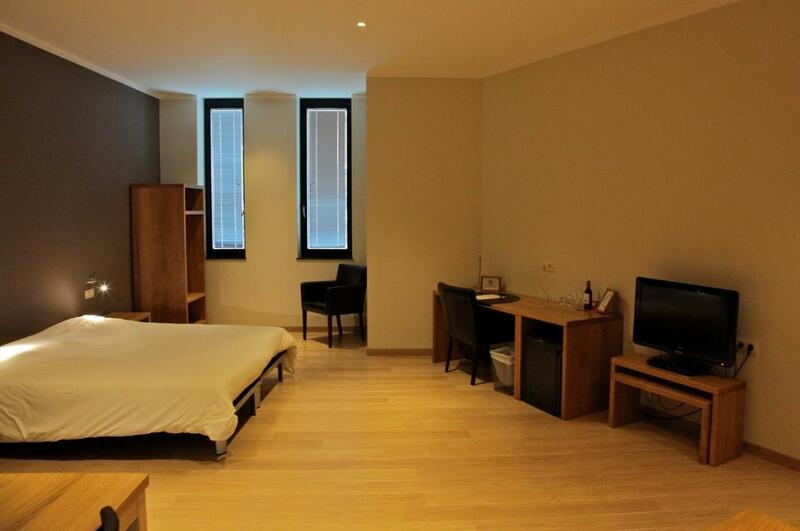 A spacious studio with a living room and a bedroom, both with flat-screen TV's. Also a kitchenette and direct access to a terrace. This air-conditioned room includes a work desk, flat-screen cable TV, a DVD player and a bathroom with a bathtub or a shower and a hairdryer. We are passionate about hospitality. Close to the green area of Heverlee and the castle park of Arenberg. Every sunday we have a nice local market in the front of the building. House Rules Boardhousing takes special requests – add in the next step! Boardhousing accepts these cards and reserves the right to temporarily hold an amount prior to arrival. Please not that check in takes place at the following address: Jules Vandenbemptlaan 6, 3001 Leuven. Please inform Boardhousing of your expected arrival time in advance. You can use the Special Requests box when booking, or contact the property directly using the contact details in your confirmation. - For check in, I have to go different location, and I kept trying to understand how to go, as my phone was not working properly to call. 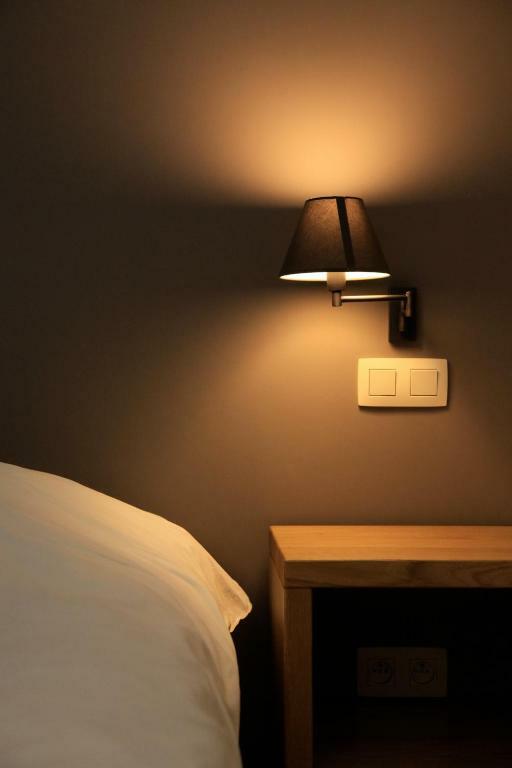 without help of someone passing by I wouldn't easily knew - the light was dim in the room, not enough lights _ no enough information about what I get and expect in my room. It suppose to be apartment which means I can found simple basic tools for rent an apartment. But there was only coffee maker. We didnt have hot water for a night and a morning, but the problem was solved the day after and we were compensated on the final price. There was no room service for 2 days, so we had to call asking for toilet paper and more towels. On Sunday morning there is a street market so it can be noisy. Whole building was very hot, even with the window open we couldn't get the temperature down much. Bicycle is free, but bicycle light renting is a little bit expensive. Pillow is comfortable. Check-out is convinient. Room size could be a bit bigger. Room ventilation should be better, windows were hard to open, the street noise was high in the early morning and during the late night. To know beforehand that there will be nothing in the fridge. To know beforehand that coins are needed in case you want to buy something from the automatic box. To have a bottle opener in the room. Clean. Near to public transport.